When I first started to hear rumors of TOMS venture in to making sunglasses with the same philanthropic message - I was instantly intrigued. Can they change the game again? The concept of "buy 1 give 1" wasn't exactly new - it had been done before. TOMS separated themselves by coming up with a new style of shoe altogether, making it stylish, and maybe most importantly, making them unbelievably comfortable. Where I think their Sunglasses line fails is in its originality. 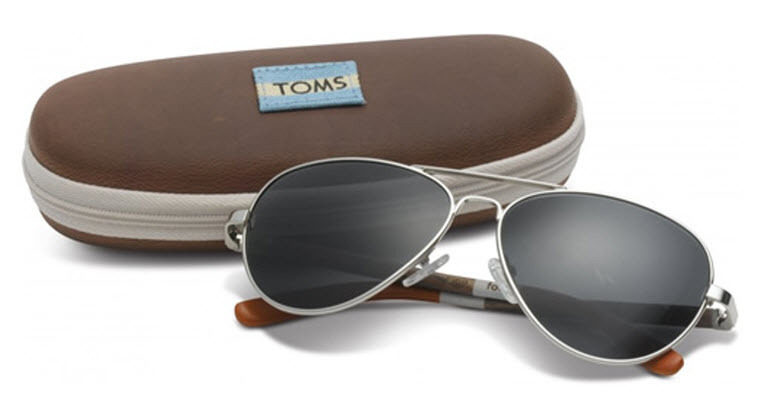 For the Men, you can basically choose between a makeshift pair of Ray-ban's, or the Aviator's pictured above. Look - I'm not trying to hate on what they've done here - I'm a fan of the message, and the products are still high-quality. I just think that at this point - they relied on their name and general 'cause' to sell units, rather than continuing to push forward with innovation. Check out their lookbook here.